Armed with the knowledge that ‘most studies suggest that losses are twice as powerful, psychologically, as gains,’ federal change agents can better prepare for possible cultural resistance as they begin to implement agile practices at their agencies. There are a variety of resistant-to-change personas (change is painful for most of us, but we dislike it in different ways) those seeking change will need to understand to be successful. Bill Brantley, ‘agile OG,’ from the U.S. Patent and Trademark Office, shared his experience with these personas with the participants on the Agile/Lean Community’s first webinar. The Old Guard: Equates the language “experiment” to frivolousness and “fail fast” to higher risk. The Last in Line: Equates the quality of the food by the length of the line outside the restaurant. The webinar also touched—at the highest level—on the difference between agile (embracing and incorporating feedback along the lifecycle) and waterfall (coming up with requirements, building and then receiving customer feedback) styles. The transition to agile methods moves us from a plan-driven model to a feedback-driven model. Other key takeaways included learning to be aware of the ‘myths of agile,’ such as the need to document along the way, and to understand that agile projects aren’t immune to failure. 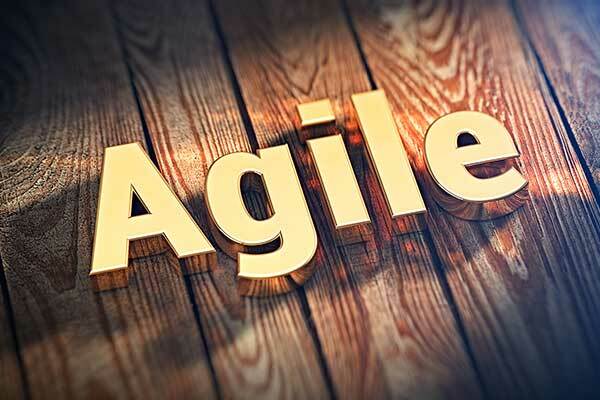 Join the Agile/Lean Community of Practice.